Scuttle: A Little Bit of Fashion & Alot of Sparkle: Pencil. Hello! 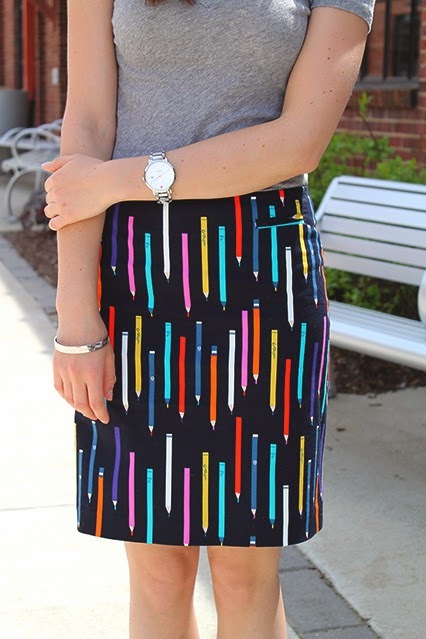 A 'pencil' pencil skirt, yes please! It was just way to good to pass up. Leave it to Anthropologie to create something witty like this. They never disappoint. They have so many great skirts (perfect for showing off some leg now that its warm!) right now. Here are a few of my favorites, and a couple of them are on sale!